Perfect for shooting in different environments, the CTO (Color Temperature Orange) 4 Pack comes with 4 different warming gels which allow you to adjust the Lume Cube's color temperature. 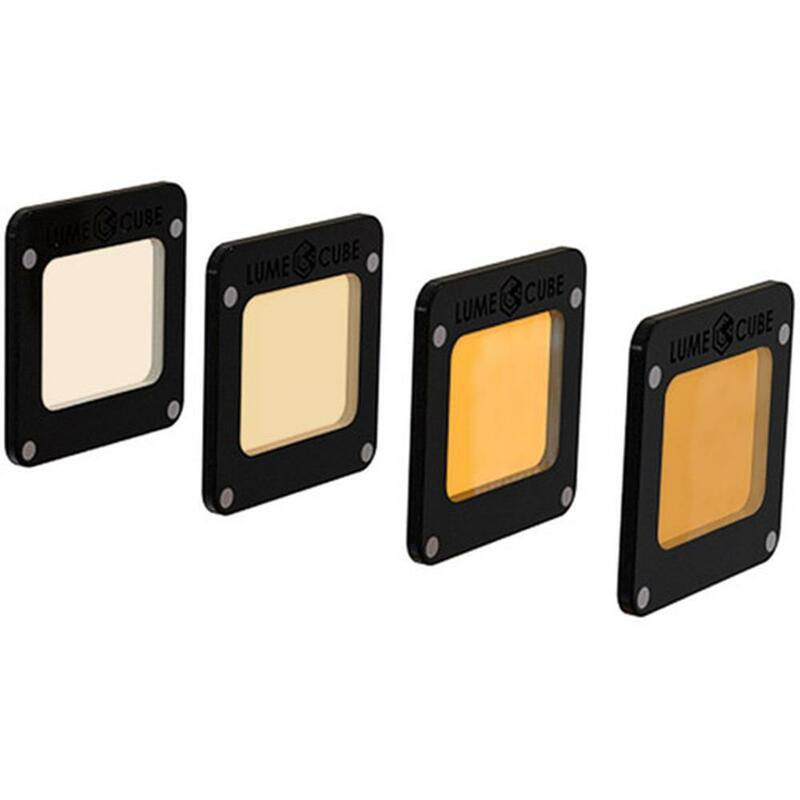 We have partnered with Lee Filters to build in their Zircon LED filters that last 200 times longer than standard lighting filters. Not only are Zircon filters longer-lasting than their standard counterparts, they?re sturdier, too. Manufactured using a 180-micron material, they are more than double the thickness of a normal lighting filter. This makes them more durable and easy-to-use.